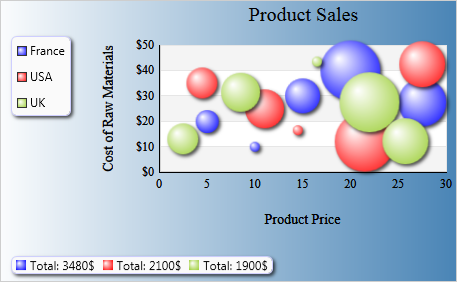 A WPF component that combines 2D and 3D charts, gauges and an advanced real-time chart control. MindFusion WPF dashboard controls are built to serve you. Not the other way around. They boast an intuitive API, optimized performance, numerous samples and tutorials and the complete feature set to create that important chart your software needs. In minutes, not days. You love variety? So does MindFusion. That is why we have developed a WPF chart control that draws equally well multi-series 3D bar chart, elegant scatter charts or precise radar charts. 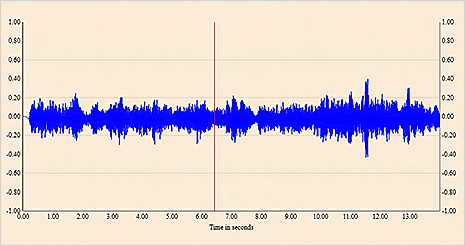 Whether you need a pie or a standard line chart - each of them is readily available in the control. Each chart exposes a detailed list of options, which guarantee complete customization and optimal flexibility. 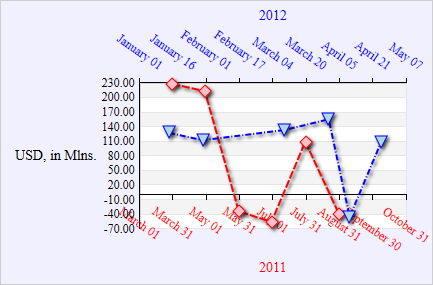 You shall hardly find a simpler and faster way to implement the desired chart. 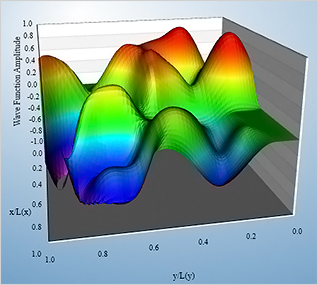 Charts that use the Cartesian coordinate system can render unlimited number of all four axes types - X, X2, Y and Y2. 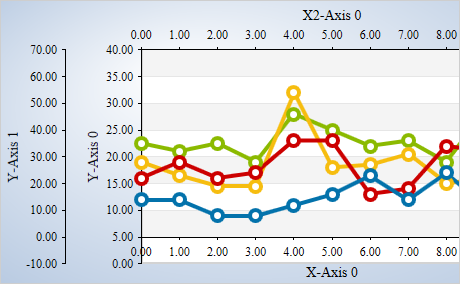 Each chart series you create with the WPF control should be bound to a pair of X/X2 and Y/Y2 axes of your choice. The Axis object exposes the full set of customization properties, so you can adjust the appearance of every single axis on its own. The axis can be decorated with ticks, custom labels, label rotation, title, your favorite pens and brushes and much more. Each axis supports both negative and positive values. The crossing point of each pair of axes is adjustable. Legends add an important finishing touch to any chart. Sometimes a single legend is not enough. Other times you'd like to split the legend data in two, even more. All of these legend scenarios, as well many more, are easy to accomplish with MindFusion chart. The control offers two types of legends, from which you can create as many instances as you wish. The location and alignment of each legend is for you to decide as well numerous other style and appearance details. Data is what matters most in a chart and MindFusion charting helps you make most of your data. You can read it with data binding from all standard .NET data sources. DateTime values in different formats are fully supported. You can parse and arrange the data in numeric arrays, which you can then assign to the control. The possibilities are endless and so is the number of data series, which you can create. MindFusion chart can automatically render your data as axis labels, tool tips, labels inside or at the top of bars, pie pieces or radar arcs. Guided by the ever evolving needs of our customers, MindFusion 3D charts have evolved into a set of controls with impressive design and performance capabilities. The 3D engine was rebuilt to render effectively even large data sets. The appearance was refined with numerous new properties that control the tiniest details of the rendered model - from the mesh size to the light type. Everything is neatly organized in an easy-to-understand API, backed by plenty of samples and tutorials. Your financial software will surely benefit from the beautiful, easy-to-customize candlestick charts available with the control. 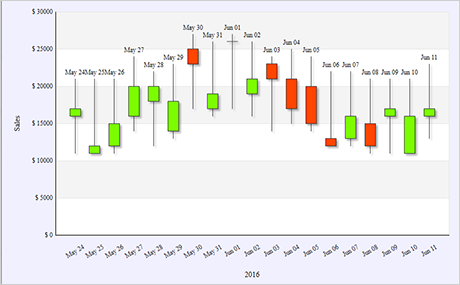 The CandlestickSeries and StockPrice classes provide an intuitive interface to set the necessary chart data. The chart supports DateTime values, unlimited number of axes, a variety of labels and the full list of style settings available in any other type of chart - brushes, pens, grid, legend, title etc. 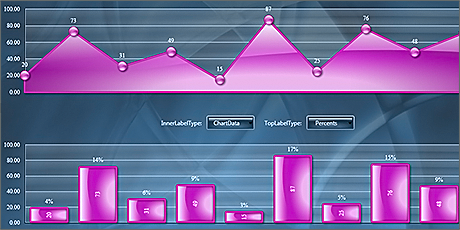 MindFusion real-time chart control implements an innovative rendering technology rather than building the traditional WPF tree of visual elements. As a result the handling of extremely large data sets is light and speedy. However, performance does not come at the cost of convenience - the component also supports unlimited number of Y and Y2 axes with the full set of customization options for each one. Legends, title and tooltips of your choice can be added as well. The count of data series and data points in each one is limitless. 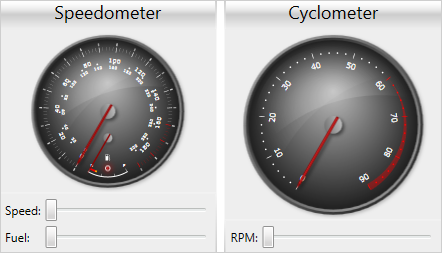 If you've rolled your sleeves to build an impressive WPF dashboard we have some good news - MindFusion Charting includes completely customizable, feature-rich oval and linear gauge controls. With a little fantasy and few lines of code you can design with them anything - from an elegant compass to a set of car controls. You might not even have to do it yourself - MindFusion has prepared a list of 10 popular gauge implementations, which you can copy straight into your application or easily modify to create the one that perfectly fits your needs.